Was it just me or did this past summer drag on forever? With 2014 on track to be the warmest year on record for Los Angeles, I was starting to lose hope that we’d ever see fall and winter this year. Fortunately, it’s been cooling down in recent weeks (by SoCal standards, I mean), and there’s even rain in the forecast! 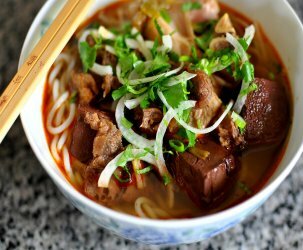 With temperatures finally and consistently dipping below 80 degrees, it’s high time to indulge in comfort fare. Hello, Alimento. 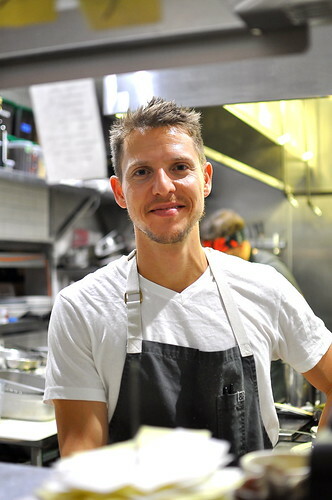 Chef Zach Pollack opened Alimento this past June in Silver Lake after years behind the stove with Chef Steve Samson at Sotto. 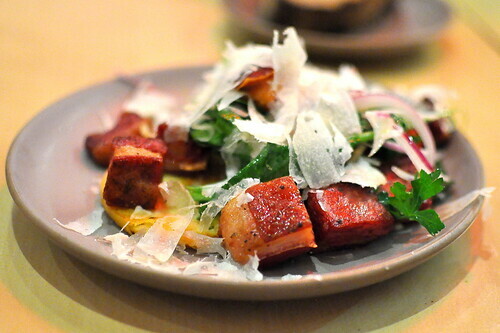 Whereas Sotto focused on Southern Italian fare, the food here is inspired by Northern Italian cuisine. 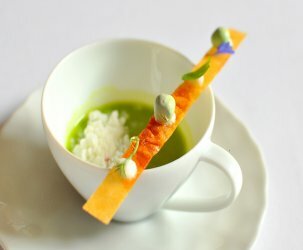 The menu is divided into three sections: Plates, Pastas, and Platters. The Astronomer and I were joined by our friend Stassi for dinner this evening. Between the three of us, we shared four “Plates,” two “Pastas,” and a dessert. 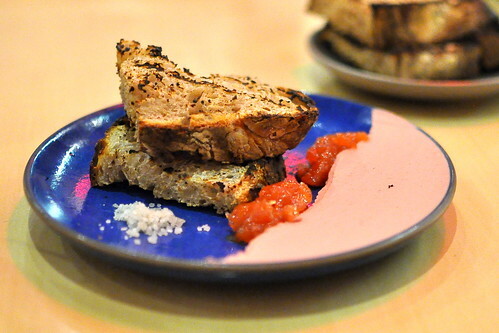 The first Plate to hit the table was the chicken liver pate served with house made bread, coarse salt, and quince mostarda ($10). 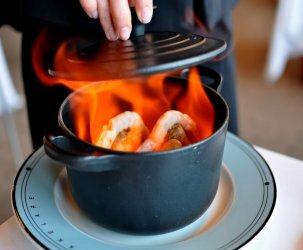 This dish was adored by all and was as delicious as it was beautiful. Soon after we made a small dent in the chicken liver, a gorgeous plate of thinly sliced veal tongue ($16) arrived. 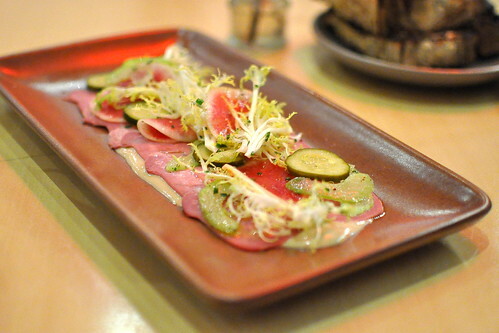 The boiled calf’s tongue was accompanied by a creamy, mayonnaise-like sauce flavored with tuna, radishes, pickles, and celery. Stassi was especially fond of the baccala ($12), a saucy and seriously comforting mashup of salt cod and tomatoes served over polenta. The Astronomer’s favorite Plate was the lamb belly served atop a chickpea pancake with fennel, mint, tomato, and fiore sardo ($15). 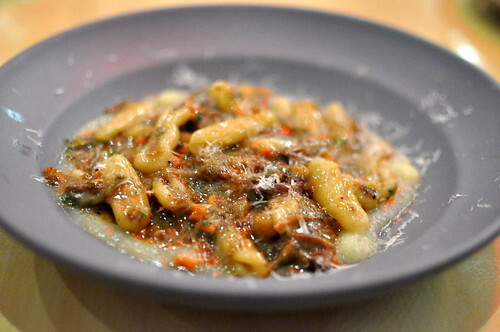 The first pasta on the scene was the “Gnòc” with oxtail, marrow, and potato ($17). 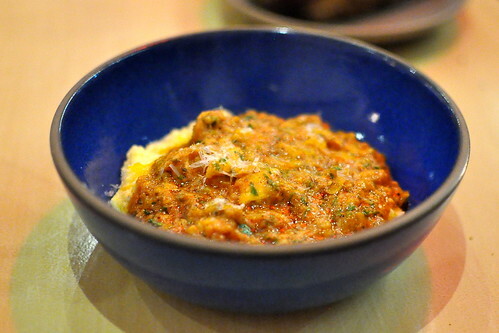 While the sauce was seriously rich (and a touch too salty), the texture of the pasta was beautiful. 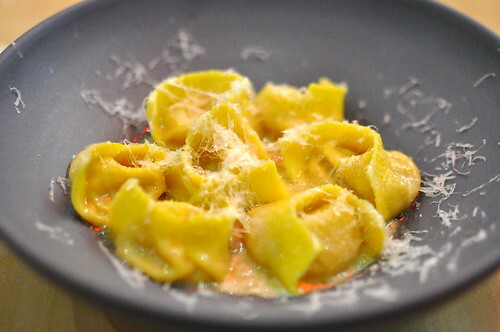 Equally satisfying was the Tortellini in Brodo “al contrario” ($14), tortellini filled with a mortadella- and Parmesan-spiked broth. For dessert, we shared the chocolate budino. 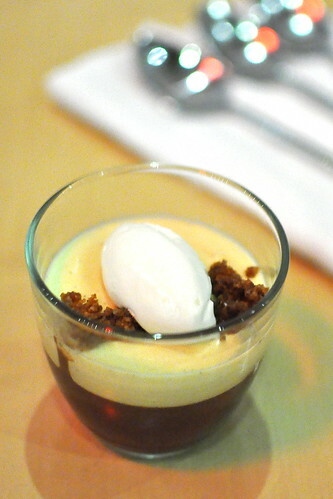 The silky smooth pudding provided a sweet finish to our Alimento feast. 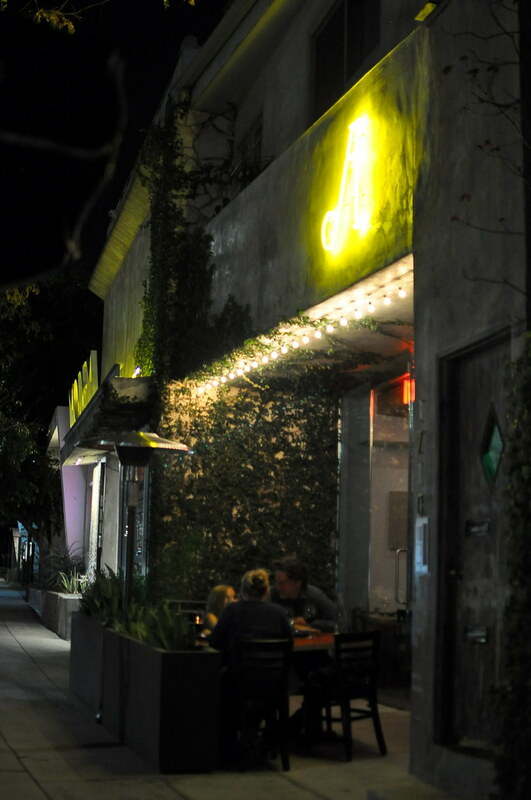 While there isn’t a shortage of great pasta to be had in this town (See: Bestia, Union, Drago Centro, Maccheroni Republic, The Factory Kitchen), another solid player like Alimento to add to the lineup is always welcomed.